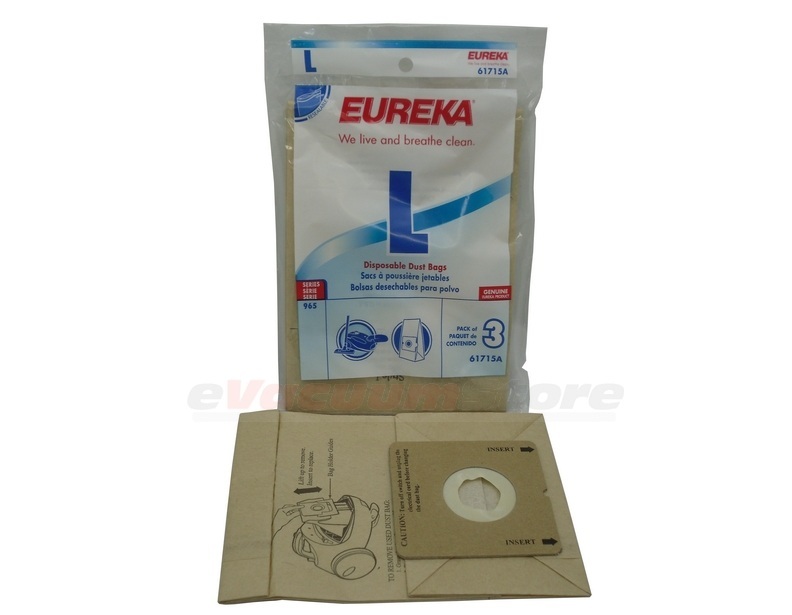 Eureka Style L Vacuum Cleaner Bags Fit: 965 Mini Mite Series. Much like the vacuum they fit, don't let the size of these bags fool you. They not only can hold a great amount, but they are also terrific at keeping a secure lock on the vacuum. That means no tearing or ripping during your clean. 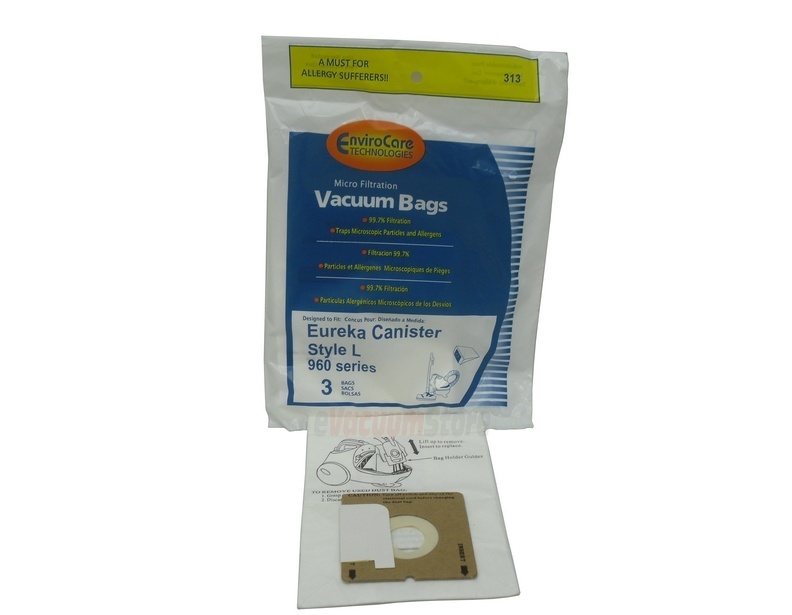 Whether it's the heavy paper of the generic or the synthetic cloth of the genuine, these bags will do their job so you can do yours. The genuine bags have an extra odor-eliminating lining so you won't have to smell whatever you happen to pick up. If you require further assistance, feel free to contact eVacuumStore.com at (866) 972-8227.